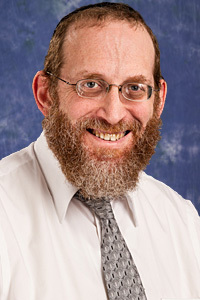 Steven has been with Urbach & Avraham, CPAs for over 15 years. He recently earned his accreditation as a Certified Valuation Analyst. Steven has been an active part of our litigation support team. His forensic projects include: quantifying economic damages from fraud, complex litigated pension issues, reconstruction of accounting records for fiduciaries and valuations of closely-held businesses for estates & trusts and matrimonial. Steven also has extensive experience with real estate transactions, 1031 exchanges (Like-kind exchanges), step-up in basis for partnership interests, specially allocated depreciation and complicated sales and purchases of real estate. He consults on many complex issues of partnership taxation and the maintenance of partnership capital accounts and basis. He handles multi-state corporate tax issues as well as complex individual income taxes. Some of the complexities include: Alternative Minimum Tax, exercising and selling of stock options and cancellation of debt. Steven is an expert in fiduciary income taxes of estates and trusts.